The cutest "OOPS!" ice cream cones! 4. Carefully cut the top of the waffle cones off, so the cones measure approximately 2 ½ inches tall. 5. Melt CANDIQUIK® Coating in Melt and Make Microwaveable Tray™ according to directions on package. 6. Press a cake ball on top of the mini waffle cone. 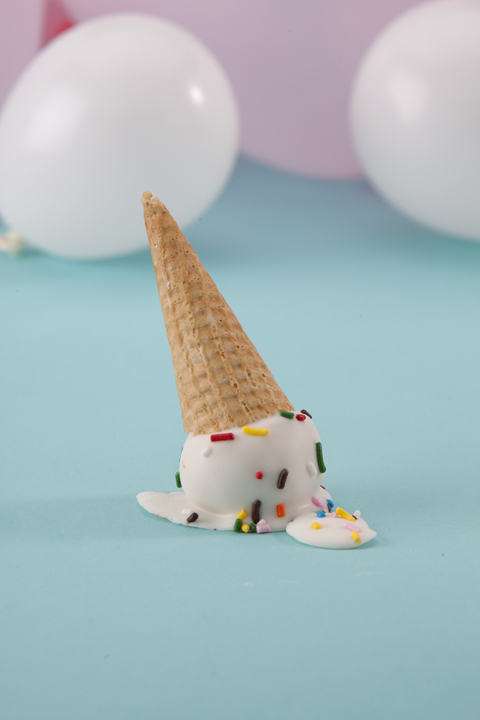 Dip the top of the cake ball into the CANDIQUIK® by holding the end of the cone. Place on wax paper with the cone pointing up, allowing the excess coating to form a puddle. Sprinkle.